Got tons of film negatives that need to be converted to digital photos? 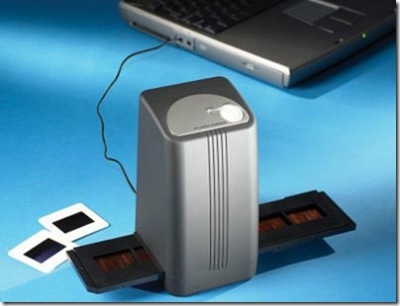 If yes then look no further than Hammacher’s portable USB film negative scanner. This small wonder can digitize all your film negatives with its 5MP CMOS with 10-bit color sensor. 5 mega pixel CMOS sensor with 10-bit color sensing capability. Scan images up to 1829 dpi resolution. Three LEDs used as a backlight source. Aligns the slides or negatives that are placed in its tray. You can own this device for around USD $ 99.95 (approx INR 4,035). I am definitely considering buying this device as I have got lot of negatives that needs to be digitized. At USD $99.95 this worth buying as it would save me lot of money if I were to head towards a local photo store for my digitizing needs. Next thing that I would be doing is check with Hammacher if this product can be shipped to India. You can purchase this device from Hammacher’s Store.